Decor | Do you believe in furniture fate? Do you think it’s possible to conjure a thrifted find? Like, if you pray to the gods of ’80s furniture often enough, do you think they actually answer? 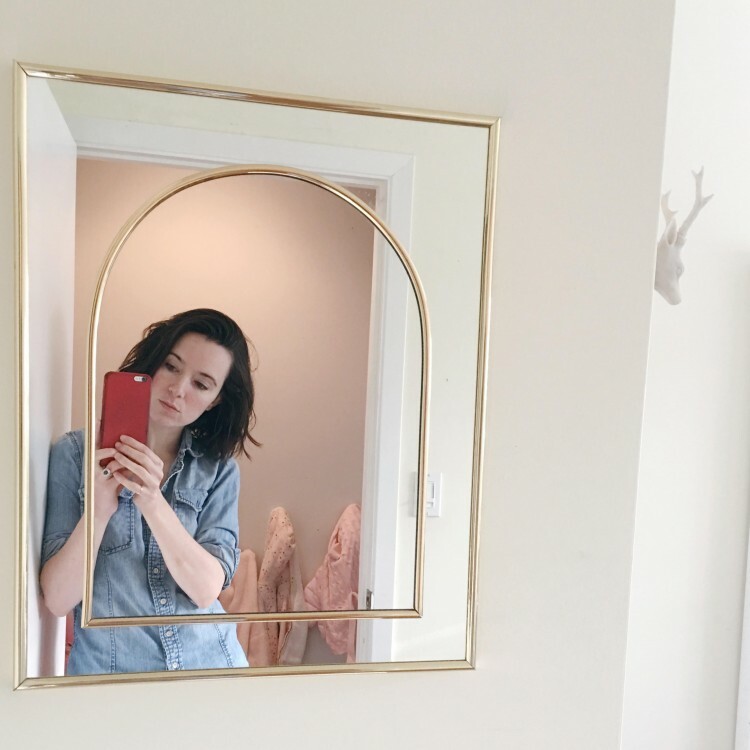 It wasn’t long ago I posted about this brass mirror from CB2 (which is also a shelf, but let’s ignore those details for a moment). And now, at a Ukrainian church sale I find this shiny beauty, which is straight outta the ’80s, babies. As of right this minute it’s hanging in my office, but I’m in the process of redoing it (I’m always in the process of redoing it) so who knows how long it will stay on this particular wall. I’ll keep you posted.